Main Street Parking Garage, Cupertino, CA, USA. 2017. 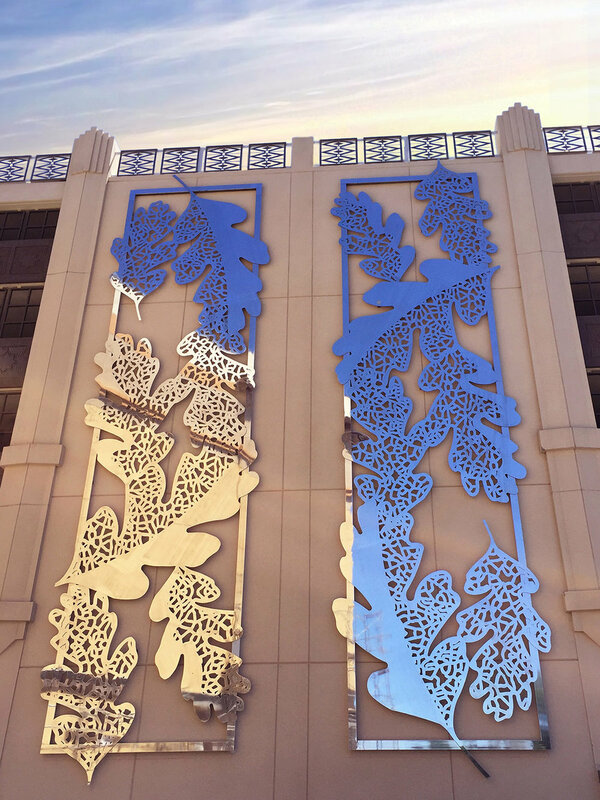 This large scale flat work embodies the natural foliage of local trees in the Cupertino and Bay Area region for the new downtown development in Cupertino, CA. 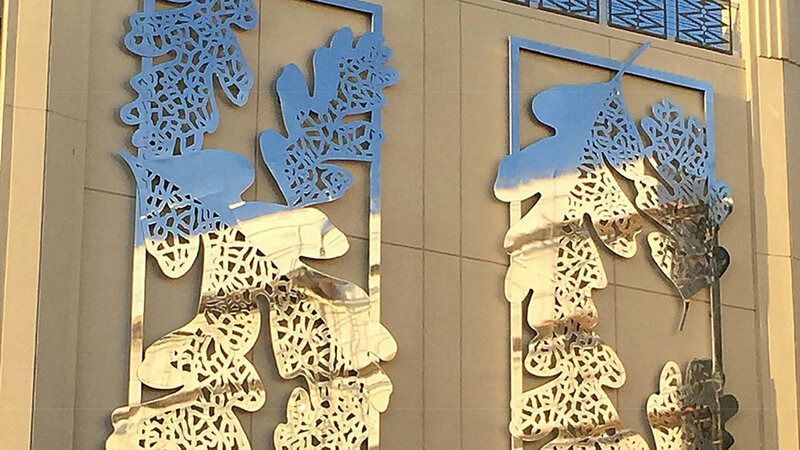 The bold bas relief and laser cut polished aluminum enhances the exterior of a newly completed parking garage in the Main Street Cupertino Downtown project. 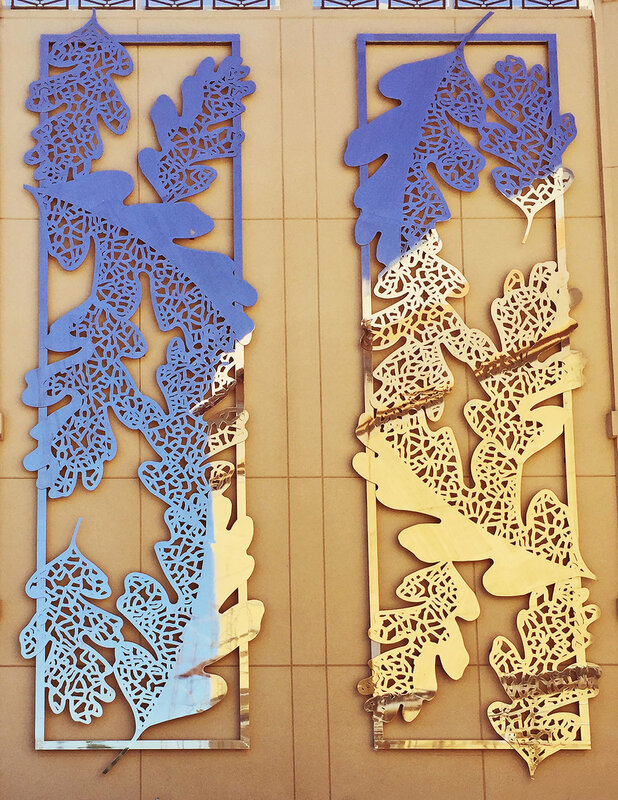 Commissioned by Mainstreet Cupertino, City of Cupertino, and the Sand Hill Property Company.